Looking for an attraction for your toddler-oriented party or event? The Jungle Toddler Zone is a great hit amongst younger partygoers, and is sure to make a splash at your upcoming celebration! 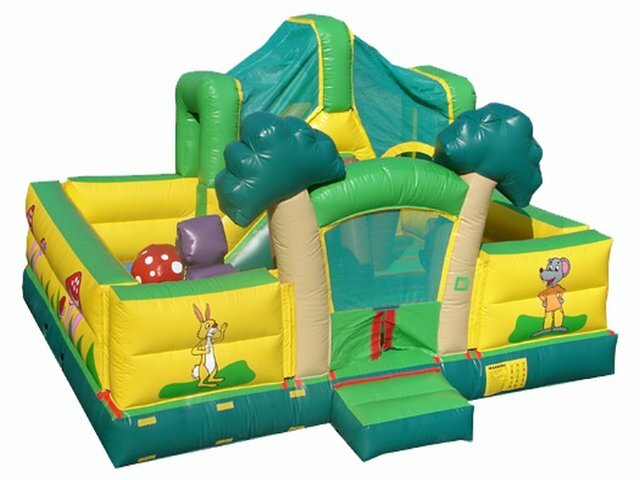 It features a large play area chock-full of steps, slides, and other features that challenge kids to jump, climb, and run their way across the inflatable. If you're organizing a Saturday party, note that we are sometimes able to deliver your unit on Friday rather than during the weekend! If this works, be sure to note that in the order form, where you can also include details on other time constraints/considerations we should be aware of.